BCAA premix is a pure high quality source of BCAAs that can support your training goal. Supplementing with BCAAs before, during and after workouts will increase the plasma concentration of BCAAs in the blood and provide energy to maintain exercise intensity while sparing muscle tissue from catabolic processes which may lead to greater improvements in lean body mass. If sufficient amino acids are not available in the blood, the body must turn to amino acids stored in muscle tissue for fuel. This has a catabolic effect on the body and if a catabolic state frequently occurs, you are likely to lose lean muscle mass which is essential for exercise performance. 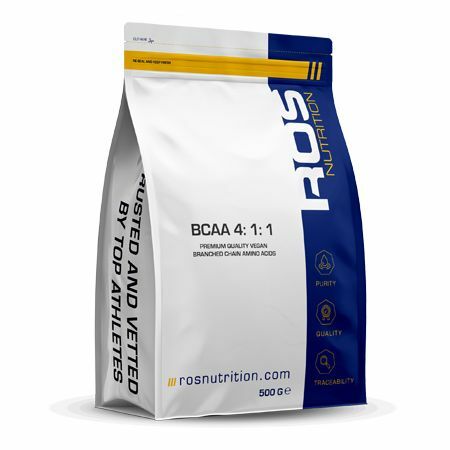 BCAAs can greatly improve the rate of recovery from endurance, power or strength training. The main benefits are: (i) reduction in muscle soreness, (ii) increased muscle protein synthesis and (iii) shorter recovery periods. Muscle growth: BCAAs are suggested to help create an anabolic environment in the body after resistance training. Supplementing with BCAAs particularly before and after your session may lead to favourable adaptations in muscle size and strength. Immunity: Prolonged high intensity exercise leads to suppression of the immune system which leaves the body exposed to infections. BCAAs may improve immune response after intense exercise by maintaining levels of glutamine in the body. Adequate glutamine is required for production of antibodies from the immune cells and if levels of glutamine become low, the body is less capable of fighting off infection. By maintaining glutamine levels through BCAAs or even pure L-glutamine supplementation, your body is more capable of maintaining strong immunity and defending against infection. Take 1 serving (10 ml heaped scoop) in 200 ml of water or beverage of your choice. For best results, depending on your training intensity take 2 - 4 servings daily. BCAA premix is best taken before, during and after your training.